THE MUCH-AWAITED 'VIJAY 59' TITLE AND 'VIJAY 60' ANNOUNCEMENT ? After canning some action scenes in rain-drenched Chennai, the 'Vijay 59' team heads to Goa to shoot some important portions. They are likely to begin the proceedings of this schedule with action scenes. Portions involving Amy Jackson are also expected to be canned in this schedule. The makers are planning to shoot in Goa till mid-December and post that they will resume shoot in Chennai. 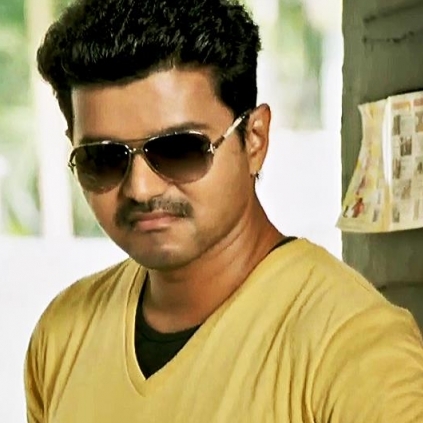 Our sources close to 'Vijay 59' camp say that rumored titles like Khaki, Thaaru Maaru and Theri have been ruled out. And there is apparently no first look launch plan as yet. Regarding 'Vijay 60', nothing is confirmed as of now and only post this Goa schedule, things might get confirmed. After Ajith, Aamir Khan faces the heat! Atlee Directed Vijay 59 May Be Titled As Khaki. People looking for online information on Amy Jackson, Vijay, Vijay 59, Vijay 60 will find this news story useful.